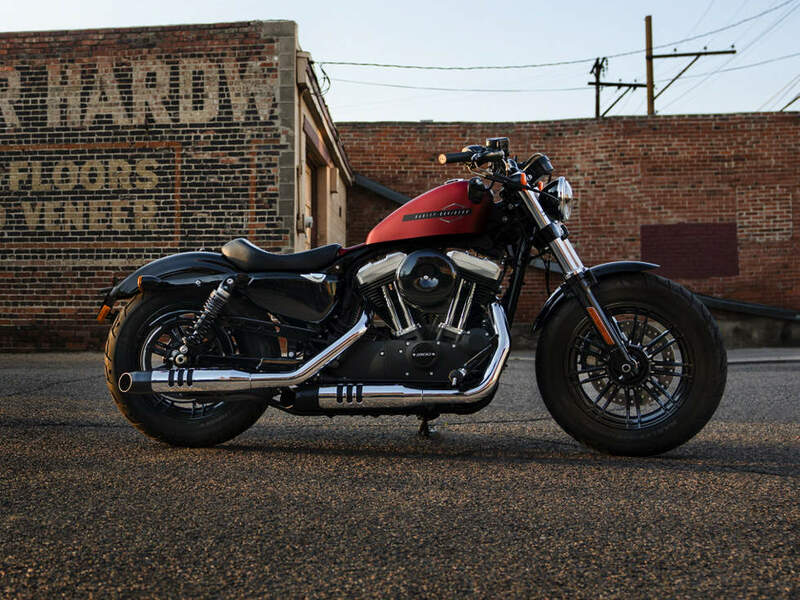 Harley-Davidson® 2019 Superlow® for sale in London. Comfortable Cockpit - The low bucket seat, longer travel rear suspension, and easy-grip handlebars creates a comfortable riding position for a wide range of riders. It’s ergonomically sound and helps build confidence in all aspects of your journey—from lifting it off its side stand to handling and turning. 883cc Air-Cooled Evolution® Engine - Authentic Harley-Davidson style through and through, dripping with power. The rubber-mounted 883cc Evolution® engine runs hard and rides smooth for thousands of miles so you can just worry about taking in the freedom of boulevards and back streets. Low Seat Height - The low, ergonomic seat provides the ultimate in handling confidence. The combination of a 705mm seat height plus a narrow frame makes it easy to maneuver your ride through turns and down straights at varying speeds. Emulsion Rear Shock with Screw Adjuster - Features an Emulsion rear shock with a screw pre-load adjuster that soaks up every bump the street throws your way, and easily adjusts to fit your riding style. Foundation Brake System - An innovative, high-performing system that gives riders more confidence on the road and more power and predictability when you squeeze the brakes. Enhanced Low Speed Maneuverability - With an 18-inch wheel up front and a 17-inch wheel backing it up at the tail end, the light-weight wheels and radial tyres make handling at low speeds a cinch.